Pull yourself back into the ring and go for the knockout with the gigs in today’s roundup. The upcoming Sony “Jumanji: Welcome to the Jungle” sequel is seeking background actors with MMA or martial arts experience for background roles. Plus, a dark comedy short and a psychological feature film are seeking actors, and a music company is casting real people for a reaction commercial. 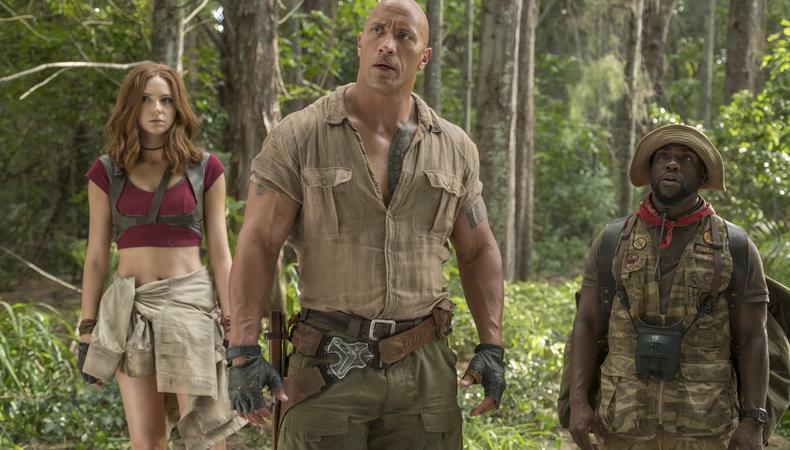 The upcoming Sony “Jumanji: Welcome to the Jungle” sequel starring Dwayne “The Rock” Johnson, Kevin Hart, Jack Black, and Karen Gillam, continues background casting. Talent, aged 18–50, with MMA, martial arts, and/or athletics experience is wanted for shoots on March 23, 25, 26 and 30 in Atlanta, Georgia. Some pay will be provided. Apply here! TriFilm Pictures and Cavan Garden Films is casting a short dark family dramedy in which a rich family matriarch faces impending death, leading to a family fight over the inheritance. Talent, aged 25–70, is wanted for several lead and supporting roles in the short. Rehearsals will take place in New York City in early May. Production will take place in early June in the lower Hudson Valley, New York. Pay is TBD with meals, transportation compensation, and housing for out-of-state actors provided. Apply here! Real people, aged 18 and older, are wanted to give their authentic reactions to listening to a music streaming service for the first time for a commercial. Applicants must currently be subscribers of Spotify, Apple Music, Pandora, YouTube Music, or other similar streaming services. Filming will take place on March 19 or 20 in NYC. Pay is $125 for less than two hours of work. Apply here! Join the cast of “Dilemma,” a psychological drama “that examines the stress factors that both sides of an interrogation place on each other.” Talent, aged 18–80, is wanted for several roles in the project, including the lead roles of Evan and Rachel Hollier, siblings who find themselves arrested. The film rehearses in the spring and films on dates TBD in Los Angeles. Pay is $50 per day with copy and credit provided. Apply here! Want to see even more gigs? We’ve got ‘em in our Backstage casting calls!